Nephrolepis Exaltata Bostoniensis is one of the most popular indoor plants, and can also be grown outdoors in some parts of the country. Care of Boston Fern means providing extra humidity to keep the fronds fresh and fluffy and not giving the plant too much sunlight. Luckily for gardeners who don’t seem to possess a green thumb, this pretty houseplant is fairly simple to grow so they can enjoy the long feather like branches and lush look of it to decorate their homes easily. Ferns really soften up the look of a room. They are lacy and work well in just about any home decorating look, from farm country to a more formal theme. The fern is common to humid forests and swampy areas of Mexico, Central America, Florida and surrounding areas as well as Africa. Other common names for the fern are tuber ladder fern, fishbone fern and wild Boston Fern. The native habitat indicates that humidity in the home is the most significant thing to watch out for in caring for Boston ferns. Also, since many ferns grow under a canopy of trees, monitoring the amount of sunlight is important, too. This pretty plant is grown mainly for the delicate, feathery fronds. 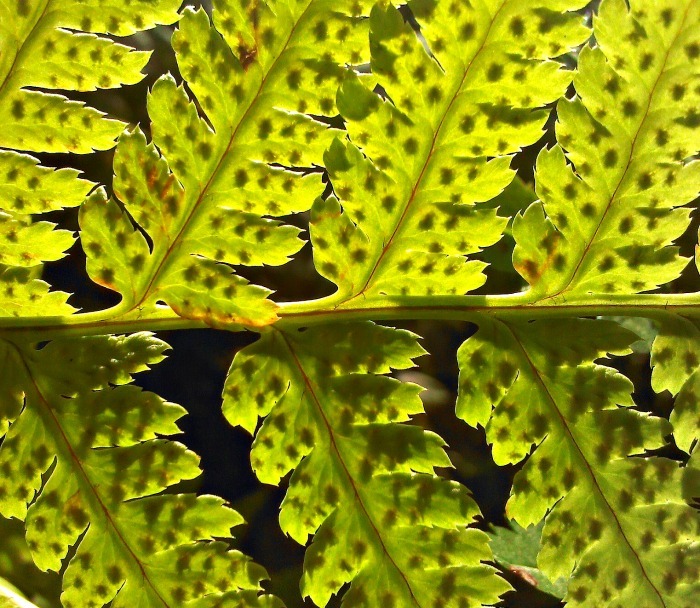 The fronds of a Boston Fern are sword-like in shape and apple green in color. The have an arching habit that allows them to drape gracefully around the outside of the pot. This habit makes it a wonderful plant for a hanging basket and also looks really nice indoors on a pedestal planter, to allow the fronds to arch out. This plant likes bright light but not direct sunlight which will burn the delicate fronds. Indoors, keep it away from South facing windows. It can sit on a table further in the room where bright light will reach it, or in a North facing window, which it will love. 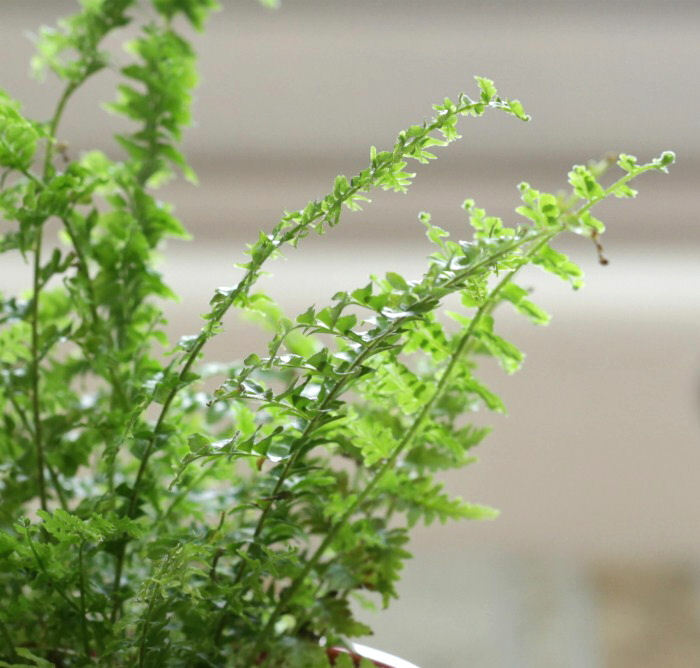 Outside, if your hardiness zone permits, plant Boston fern in a shady garden spot. If you live in a colder temperature zone, you can still grow the plant outdoors in the summer months. Keep it in a pot on a covered patio with bright light for best results. 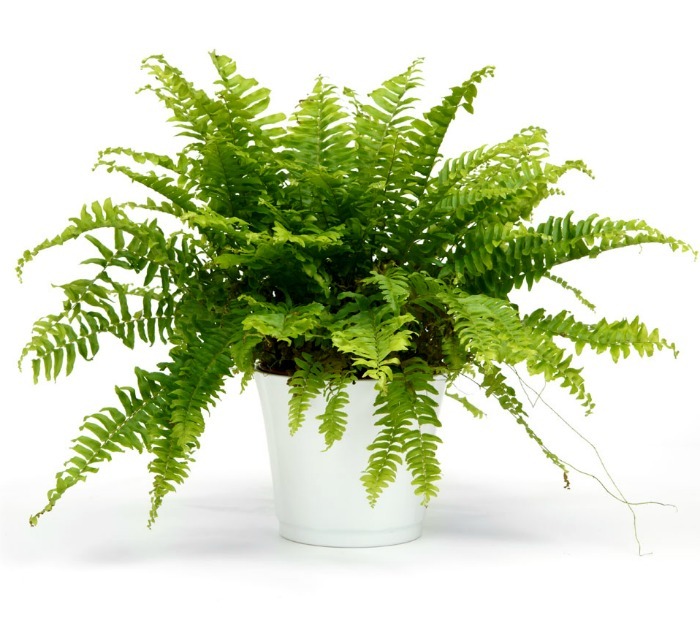 The ideal temperature range for growing a Boston fern is 65-80 º F.
How often should you water a Boston Fern is a question readers often ask me. It is hard to say just how often, but the short answer is that the plant likes to be kept evenly moist. Some houseplants like to dry out a bit before watering but I keep my Boston ferns so that the top of the soil feels moist but not soggy. This may mean watering a couple of times a week indoors, and daily outside. The bathroom is a great place to display a Boston Fern if you have room, because the bath is a naturally humid room in the house. Light fertilizing with an all purpose fertilizer is all the that plant needs for food. Be careful of over-feeding. This will allow high concentrations of salts to develop in the soil which can damage the plants roots. Too much fertilizer will also cause the fronds to go brown. If you see a crusty residue on the soil level, re-pot the plant and go lighter on the fertilizer. If there is one specific thing to watch out for with Boston ferns, it is making sure that their love of humidity is met. This is easy to do. Just keep a plant mister nearby and give the fronds a good mist every time that you water it. 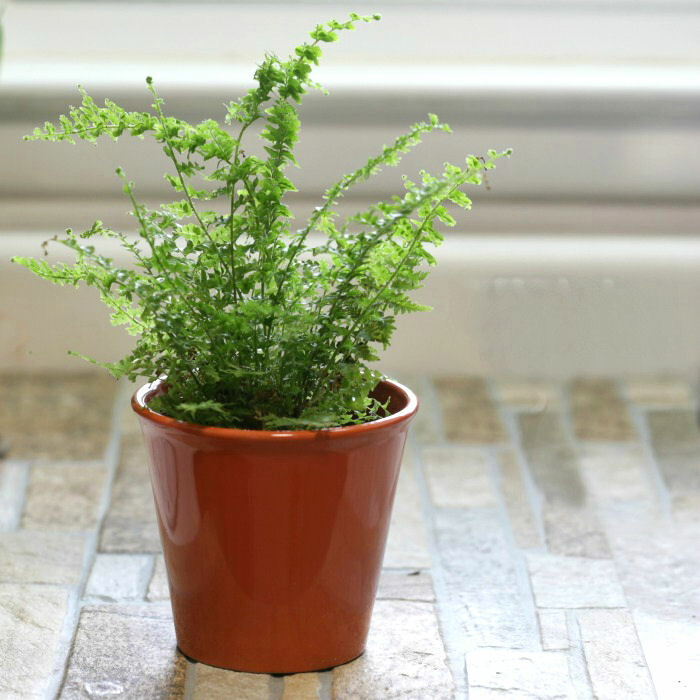 Another way to meet the humidity needs of Boston fern is to place the pot sitting on a saucer filled with pebbles and keep water just below the surface of the rocks. The water will evaporate and add humidity to the plant naturally. After growing outside all summer long, it is not uncommon for a Boston fern to have brown, shrived and discolored leaves. Like all plants, it may need to be pruned. Pruning Boston Ferns for winter means getting rid of these fronds and giving the plant a good trim. The ideal time for pruning is when you plan to re-pot the plant, which for me is often before I bring it indoors for the winter. The plants can be dramatically cut back and actually love a hard pruning, which will encourage more bushy growth and gets rid of the leggy look that the plant can sometimes develop. This fern had all the old growth cut back and the new fronds are getting ready to open. Give it a few weeks and it will be lush and green. 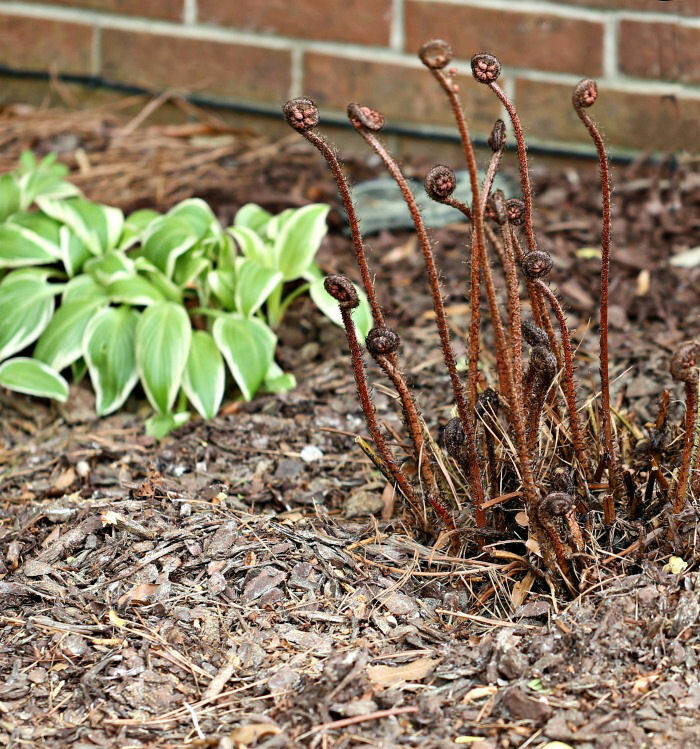 Trim off the side fronds at the base of the plant and remove the old, shriveled ones. This allows room for new growth. I try not to remove more than about 1/3 of the fronds (either opened or unopened) at any one time. Boston ferns grow quite quickly and may need frequent re-potting. A good way to check is if you see the roots starting to grow out of the drainage hole. That means it needs a bigger pot. You can also take the whole root ball out and inspect it. If the soil is a mass of roots instead of brown soil showing, it means it is REALLY time to re-pot. 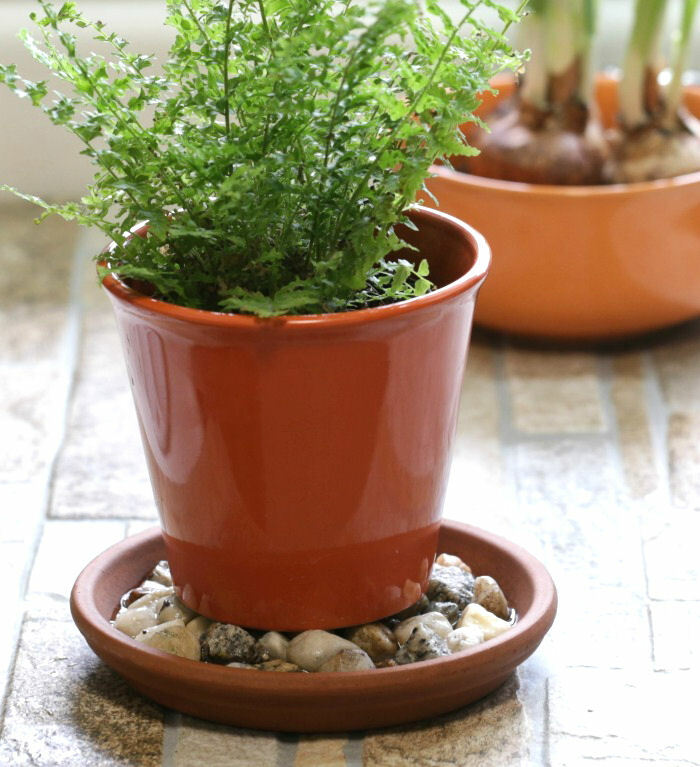 To re-pot, choose a size 1/3 larger than the existing pot. Add new soil and spread out the roots a bit. Water well and keep evenly moist. Propagation is the art of getting more plants for free by using the parts of the existing plant to make new ones. 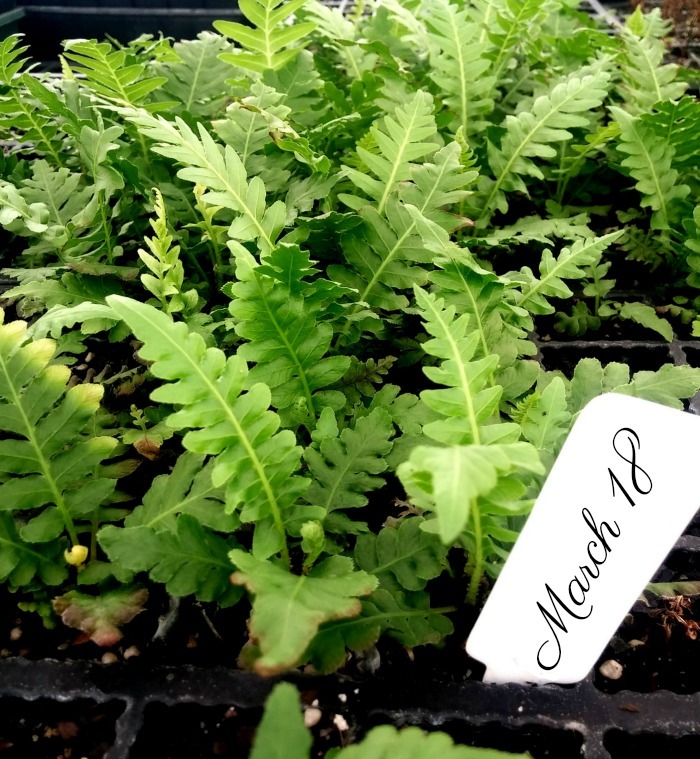 Propagating Boston Ferns is done mainly by division. and potting up offsets. The plant produces lots of slender, furry runners that produce new plantlets at their tips. Each of these baby plants will root and can be potted up as a new plant. Large Boston fern plants can also be divided. To do this, allow the plant to dry out a bit and then use a large serrated knife to slice the entire root ball in half. If the plant is very large, you can divide each section again. Trim the roots down to about 2 inches so that they will fit into a smaller pot. Add fresh potting soil and water. Keep evenly moist but not wet. In a few weeks the roots will establish themselves and the plant will send up new growth. Nephrolepis exaltata is cold hardy only in zones 9 to 11. You can keep them outdoors all year round in these zones. 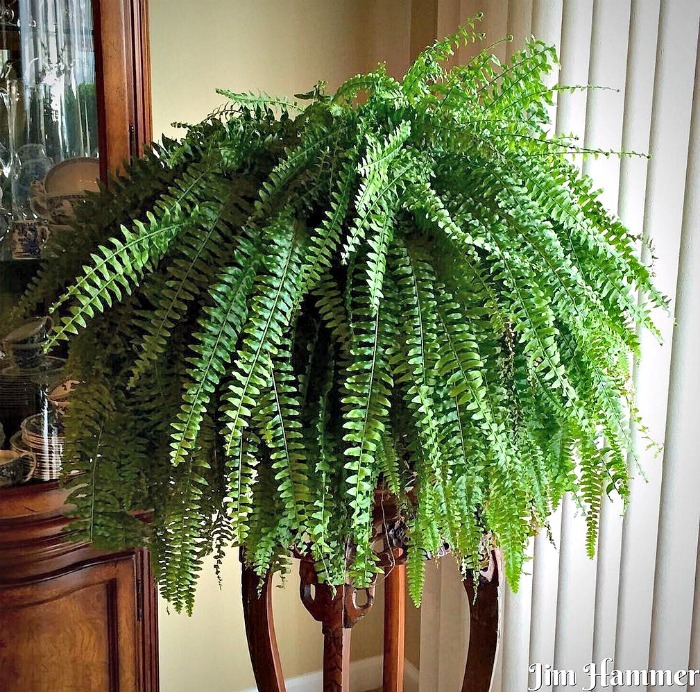 In colder growing zones, enjoy your Boston fern outside all summer but bring it in to use as a houseplant when the temperatures will drop below 45 degrees. It will not take a frost. To care for a Boston Fern outdoors, plant it in a sunny spot, mulch well near but not on the crown, to keep the moisture in the soil and plant in a well draining type of soil. You can also use it in hanging baskets on patios and front door entries, although it will need more frequent watering in pots. I set my pots of ferns right in a shaded garden bed. They get to enjoy the fresh air, don’t have too much sunlight and are easy to move back indoors in the fall. 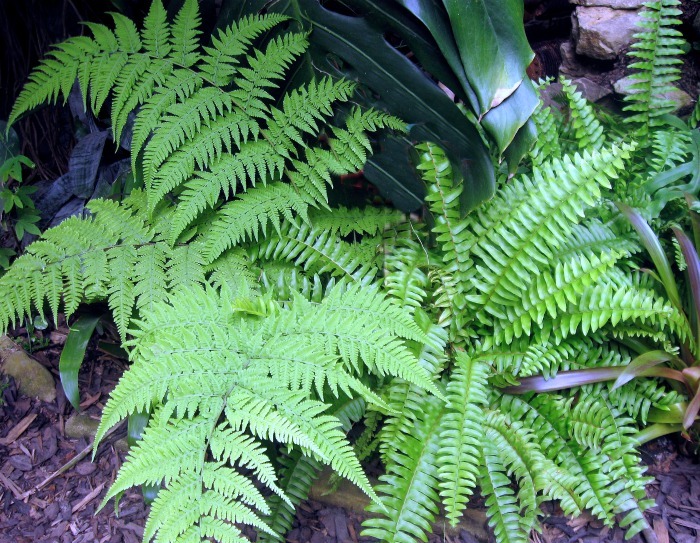 There are more than 50 varieties that are considered Boston ferns. Most have apple green fronds, but a few have brownish leaves. 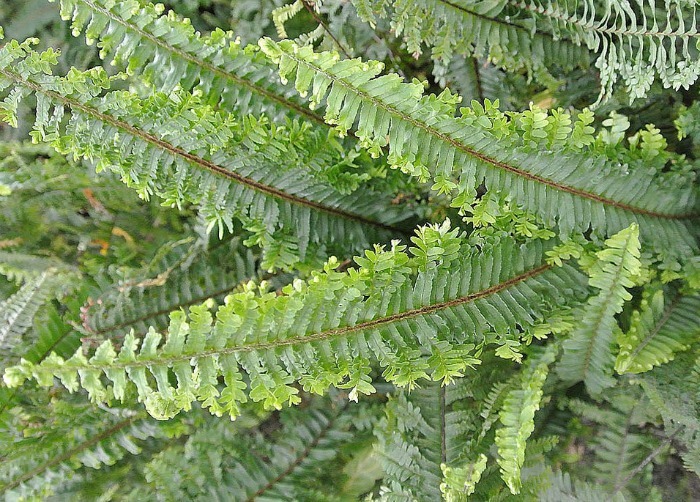 The fronds are generally sword-like and some have lacy edges. Some, like the Tiger Fern, have attractive striping on the fronds. The type we think of as the Boston fern is Nephrolepis Exaltata Bostoniensis. Another type that I love that is great for growing in smaller pots is called Fern “Green Fantasy.” It is a slow growing suited to growing on a pot on a table indoors. Another pretty variety is the Boston Sword Fern. It has frilly edges on the fronds for a delicate look. Do Boston Ferns Flower and what are those brown spots called? Most indoor and outdoor plants will flower at some point in their growing cycle. Ferns are an exception. These lovely plants are grown just for their leaves. You will sometimes see specks of spores on the underside of leaves of the fronds pf a Boston fern plant, but that is about it for a change. In nature, ferns reproduce through their spores. If you look under the leaves of the fronds, you may find them. They look like little brown dots. You can place the frond in a paper bag to allow the spores to accumulate and try to propagate them, but this is a job for an experienced gardener. Boston ferns are a real delight both indoors and out. Have you grown them? What type do you prefer – those with the graceful arching fronds of varieties with stiffer, more upright fronds? I’d love to hear about your favorites in the comments below. Thank you for the tips on fern. Now I know the type I’m planting. This mostly talks about growing them inside but also gives information for outside. Nice to bookmark this. I will check to apply for my own case. Hi Ann. Direct sun is not good for any type of fern. They grow naturally under the shade of large trees so having them unattended without a guaranteed water supply would probably not work, no matter the variety. You’d be better served using drought tolerant plants that can take direct sun (daylilies, roses, many types of sun loving perennials would work.